A recent study reports that consumers from Europe and North America have a more positive outlook than consumers from the Latin America and Asia. 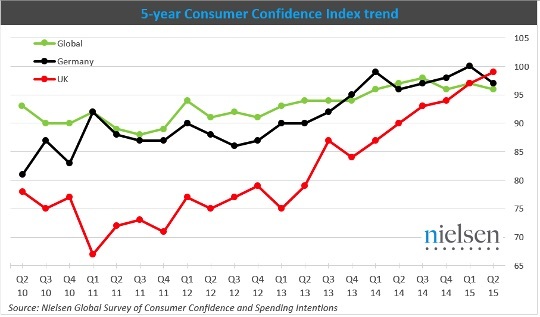 The Nielsen Consumer Confidence Index, which ranks a total of 60 markets, measures the confidence of consumers in the market- taking into consideration consumer perception on spending intentions, personal budget and finances, and local job opportunities. The baseline of the study is 100 and values less than a hundred conveys pessimism while confidence levels above the baseline means optimism. The study also shows that compared to last year, the US jumped the highest while Taiwan experienced their biggest fall in the list. At the bottom of the list is South Korea, having the least optimistic market among all the countries involved in the survey. India is at the top for the second consecutive time now while Singapore is in the 12th spot. The survey was done on 30,000 respondents who voted online from August 10 to September 4. 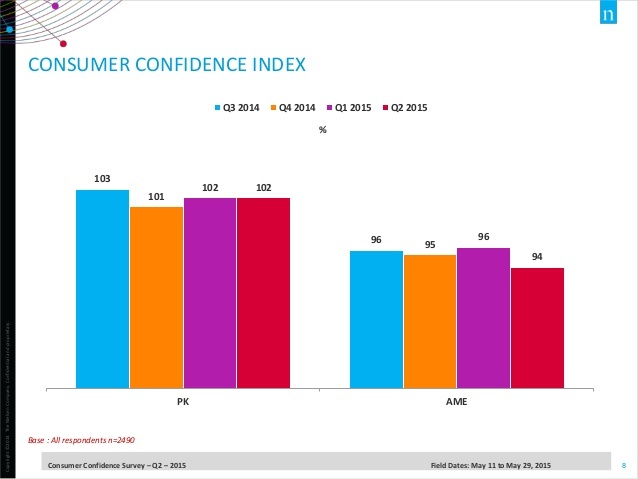 29 of the 60 markets involved have an increased consumer confidence measured at 48 percent. 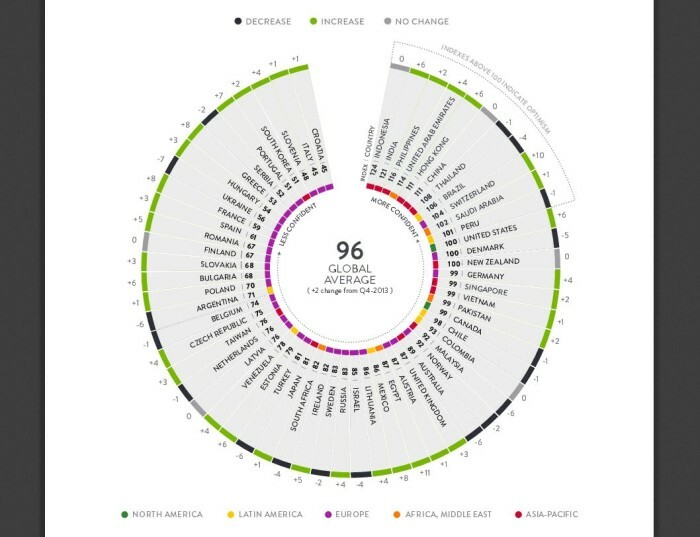 India scored a high 131 on this survey, followed by the United States with 119, the Philippines with 117, and 116 for Indonesia. Singapore holds the score of 101, meaning a lot of Singaporean consumers still feel positive about the nation’s economy. According to Nielsen Singapore, this means that locals put a high priority to holidays, new technological gadgets and vacations when dealing with their shopping list. Singaporeans believe that the economy is stable and continues to improve.